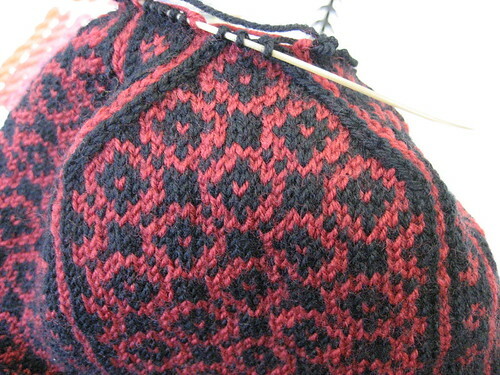 I've been wearing Norwegian Hat for a week and still haven't decided if I'm going to redo the lining. It's a little tighter than I'd like, but it sure is warm and all sewn up and stuff. I know I'll feel marginally better about the fit if I re-did the lining. But it's a lot of work for marginally feeling better, y'know? 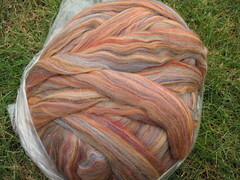 I took a page from Ms Hello Yarn for the lining and used up some 4-ply DK cashmere I had leftover from my birthday scarf. 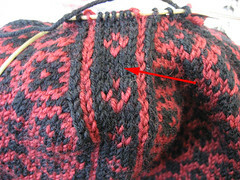 Too short a lining made the bulk more noticeable. 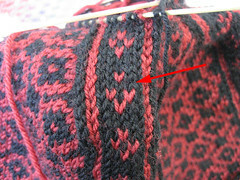 I put the stitches onto waste yarn several times to test the look and fit and decided on a good sized lining. 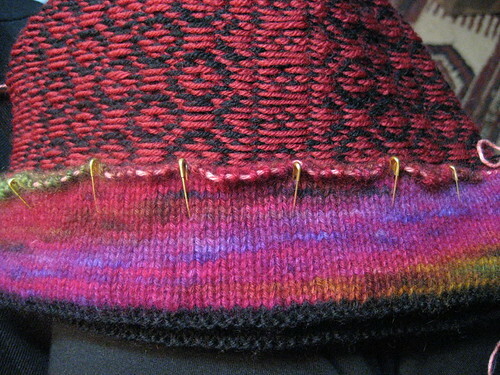 After pinning it into place, I basically kitchenered to a row of knitting using black JaggerSpun Zephyr. 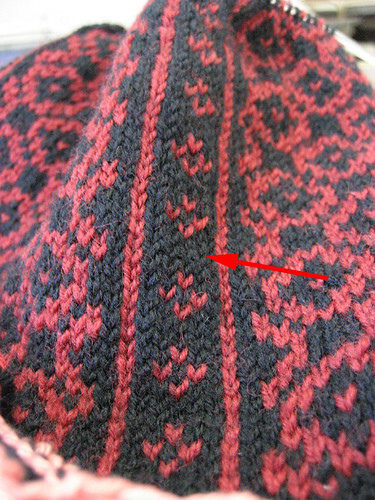 I kept the kitchener stitches loose because I didn't want the point-of-kitchenering to pucker the row, but after the fact I realized they were too loose, so the purl row folding edge is not perfectly at the folding edge, if ya know what I mean. I could go stitch by stitch and tighten it up. But on the head, it's not at all noticeable. There is zero itch factor with the cashmere, and the hat really keeps my head toasty, even with the frigid temperatures we had last week. Because it's tighter than I would prefer, it does flatten my hair a bit. Again, I haven't figured out if I will make any changes. But... considering how much effort I put into this hat, perhaps it's worth re-doing? 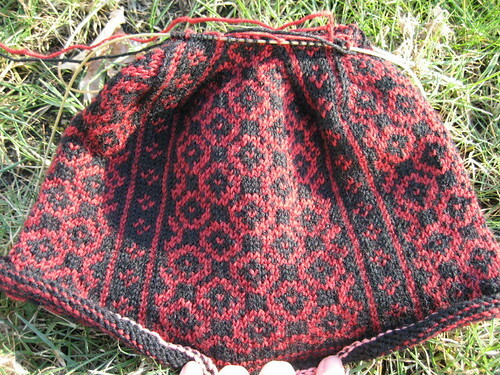 If I did make changes, I'd reknit the lining entirely and with fewer decreases, therefore having slightly more stretch to the hat. If I were really serious about it, I'd switch to a lighter weight cashmere so there'd be less bulk to boot. But I don't have anything nearly as pretty lying around. Maybe another week will decide it. 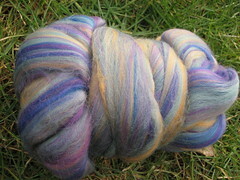 It's the superfine merino I dyed a few weeks back and started spindling. 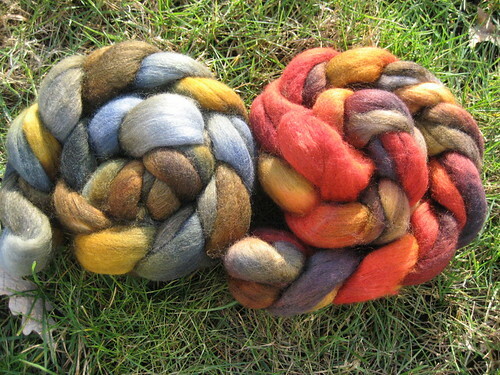 I'm not a big spindler since the wheel, so if I'm going to get anywhere with Twisted Knitters, it's gotta be on the wheel. I'm not quite happy with how my Schacht is handling laceweight (it hiccups and tugs on the fiber supply) but I'll make it through this batch. 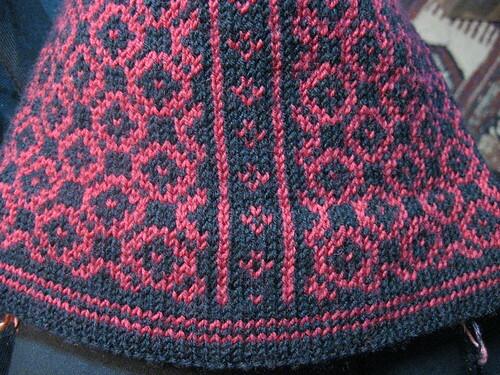 Norwegian hat is done! For now. I'm not 100% sure on the lining, but I figure I'll wear it for a while and see how I feel. (I do like wearing it.) Photos when I can combine Scott, sunlight and me with hat. I want to do a post but I'm not feeling very post-y. Know what I mean? I've been fighting off a cold the last several days and I'll be heading to bed early again today to ward it off. The little goober gave me a scare last week. She's been very active throughout my workday for the last couple of weeks, and without warning, went into seeming hibernation for several days. That and a couple of other things panicked me so off to the doctor we went, Scott driving and consoling, me crying. Everything is fine, everything checks out, and naturally, as soon as I was back in the office, she started moving around again. I'm sure an ultrasound would have revealed an innocent look on her face. I'm back to trying not to worry about things I can't control, and she's back to bopping around to her own drummer. 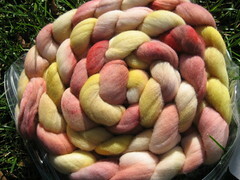 What I can show you without much talk is some fiber that's joined the flock in the last couple of months. All happy shopping experiences. Yum yum. Today would have been the perfect day to wear either pair of socks. 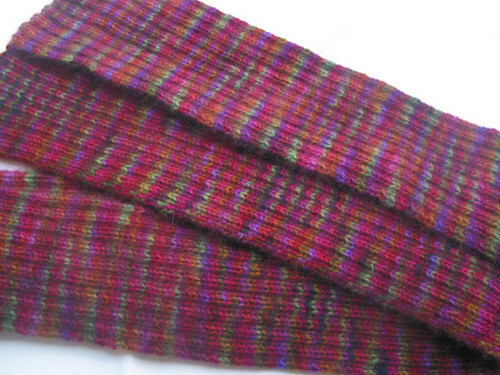 This winter has been so mild that hand knit socks just haven't been in my head. On autopilot, I sailed out of the house in the usual black cotton socks. And my feet were COLD. Twenty minutes in a toasty work environment and they were STILL cold. All winter my office stays warm. Overwarm. 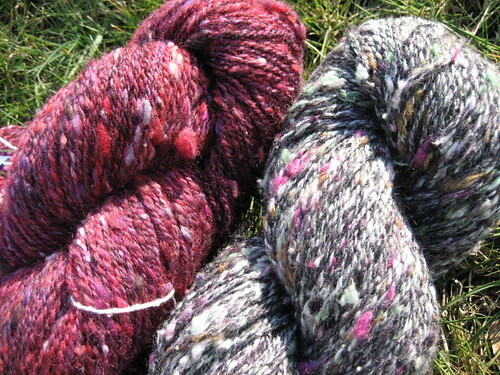 Most of my handknits don't get worn because I'd be sweating bullets by noon. In fact, these days, I usually have to take my socks off mid-afternoon because they get too warm. Not today. 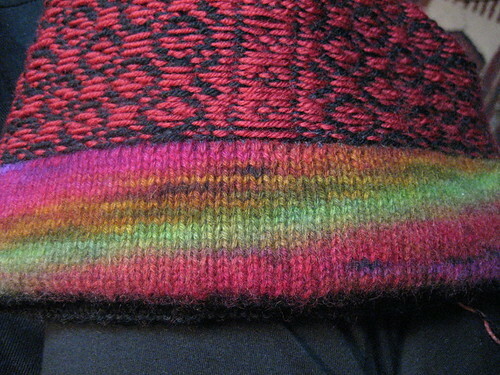 Today was a good handknit-sock-wearing day. 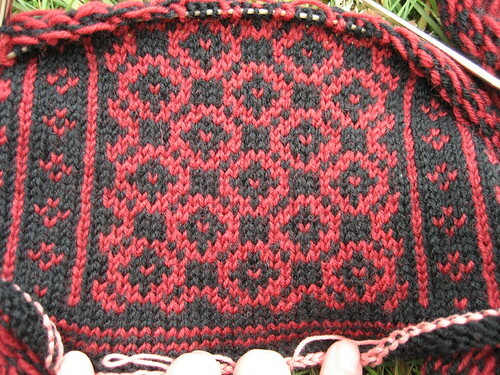 Silly me, I was on the lookout for a repeat of MJ's Norwegian Knits-Along from last year and it took a while for me to realize Stranded is Norwegian Knits-Along (on steroids). Now, usually I wouldn't join something like this because the pressure is too great. I'm weak. I lack KAL stamina. However, I really want to whittle my WIP list further. Last year I downsized from 67 to 24 WIP's during my WIP Management campaign. I know. 67 WIP's. Doesn't it make you feel faint? I managed that in just over 6 months. My next goal is to get (and stay) within the 12-18 WIP's range. It's totally do-able. And it's something I want to accomplish. 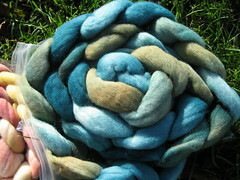 With the UFO Resurrection challenge, I have a whole year to wipe out some old knits. 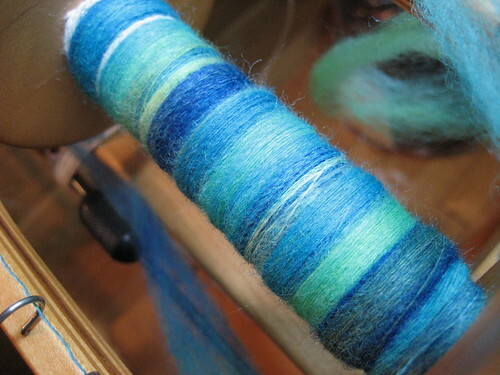 I had been working on bamboo dpn's but they were aggravating the hell out of me. So I switched to Addi circs and Ahhhhhh. 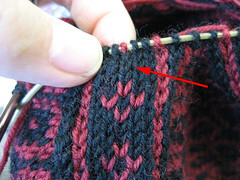 My stitches evened out and I settled into a good rhythm. Unfortunately, when I transferred to 2 circs and tried the hat on, it was tight. Tight enough that I knew it would be uncomfortable. Tight enough that it wouldn't stretch with wear. So I left it on the needles and cast on again. 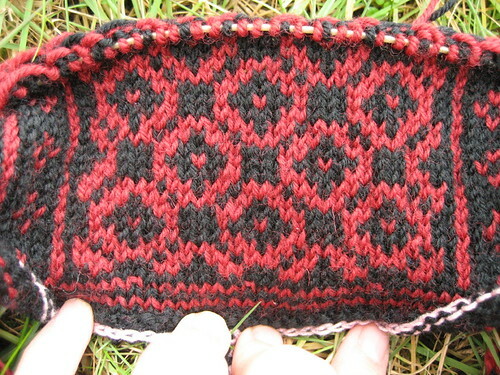 This time I noodled and adjusted the pattern for more stitches and knit an inch and a half before trying it on. Too LOOSE! 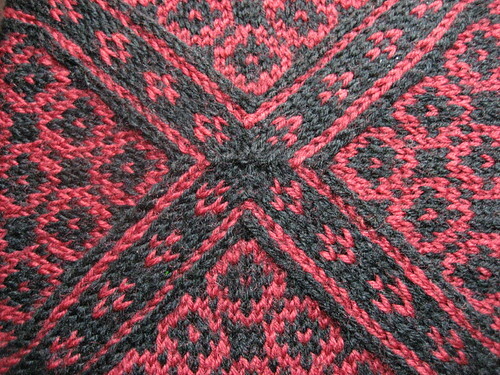 Too many stitches and looser knitting. You see, it all makes sense. I blithely laughed at Anne's misfortunes the other day, and in the back of my head, I knew the knitting gods would smite me. They did. Boy did they. I frogged back. 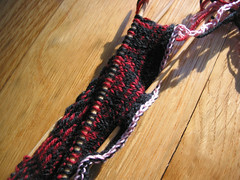 After many calculations, I decided to try my luck with what I had before, hoping that my looser knitting would compensate enough for it to be wearable. It did. Just. Enough. I was quite excited to be almost binding off last night, I never imagined it would go so quickly! It's pretty funny. Only 1 panel was fine. I'll frog back and pay a little more attention, finish it up right. I'm not sure how those side panels ought to meet up yet (at the top), but I'll figure something out.